Ideally packaged and displayed, for effective retail sale! 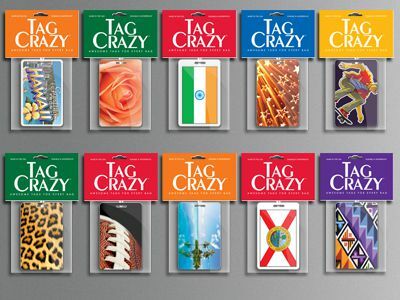 Each TagCrazy luggage tag comes individually packaged in a color coordinated (with tag design) header card and clear polybag, which allows both the front and back side of the tag to be easily seen. A white, plastic loop also is provided in the polybag, for easy attachment to any travel, sports or school bag. Individual bar codes are available for every SKU in our inventory. Our retail accounts may order any quantity from any category or collection to arrive at the desired volume, so as to qualify for a FREE RETAIL DISPLAY (96+ luggage tags) or to arrive at a desired wholesale price point. Our wholesale pricing structure is designed to provide our retailers lower per unit pricing based on increased purchase volume. 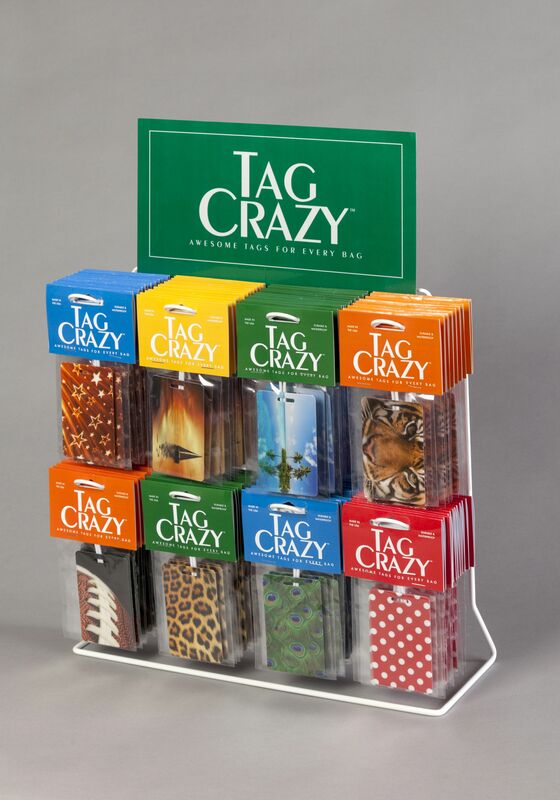 Our Manufacturer’s Suggested Retail Price (MSRP) for each luggage tag is $6.99 per unit. 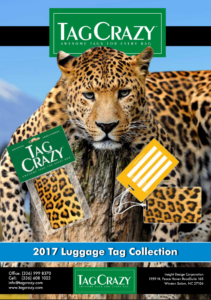 If our retailers purchase a suggested 96 tags, not only do they qualify for a FREE RETAIL DISPLAY, but they also are buying each luggage tag at a price level ($3.49 each) where they are able to achieve a KEYSTONE markup of 100%. TagCrazy’s Restocking Policy allows our wholesale accounts to be able to return unlimited product to the manufacturer in exchange for new product designs in same quantity, for a 15% restocking fee. Shipping costs are the responsibility of the retailer. Our retail merchandising Display measures 19” in height x 14” in width x 5” in depth. Each display can hold a maximum of 12 packaged luggage tags on each arm rod. There are 8 arm rods, so we can easily feature 8 different luggage tag designs x 12 tags per rod, or a total of 96 luggage tags. Other popular ordering levels are 6 or 9 tags per arm rod, or 48 or 72 total tags per individual display. Our Merchandising Display cost is $30.00 for all orders, however the retail cost is offset by our policy of providing FREE LUGGAGE TAGS, valued at retail cost. For example, if retailer purchases 96 tags, their MSRP is $5.99 each. 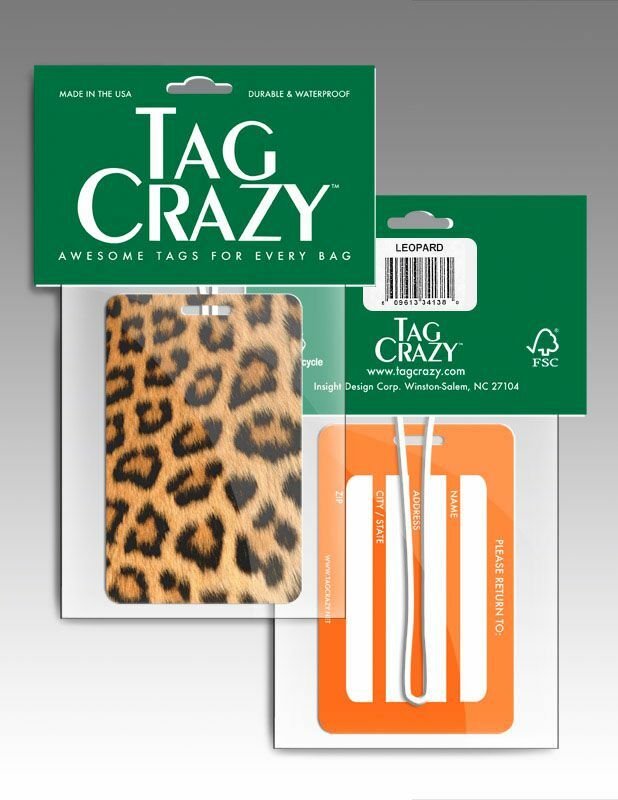 To offset the cost of the Retail Display, TagCrazy will then provide 5 additional tags at no charge. TagCrazy’s packaging holds one tag and one plastic loop. Both sides of the tag can be clearly seen. Cardboard header and high visibility poly are standard packaging for each tag and provided at no additional charge. If a rush delivery is required, please contact us by phone, fax or email. We will try to accommodate any client request, if possible. At this time we can quote various delivery options and rush charges, if applicable. 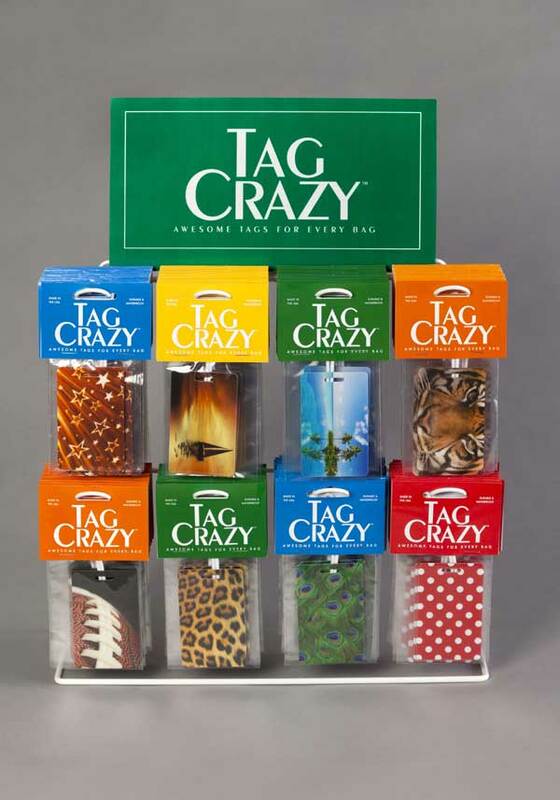 Download our Tag Crazy brochure!